Lost Car Keys have a locksmith covering Romford and locksmiths throughout Essex, We can open your car if your keys are locked inside, provide replacement car, van, or truck keys, and replace lost or damaged keys. if you have managed to loose your car key we can come to your location, open the vehicle, cut a key to fit your vehicle, and finally program the replacement key to your vehicle immobiliser system. Fully mobile locksmiths, our vans are equipped with everything on-board to cut replacement car keys, program car keys, or gain entry to any vehicle. Need a replacement car, van or truck key and been told it cannot be done? 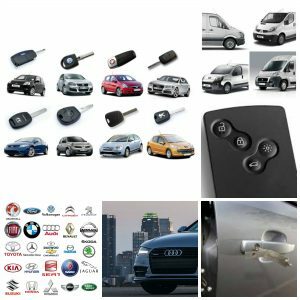 Give us a call we cover vehicles other locksmiths do not do like BMW, Mercedes, Audi, Toyota, Lexus, Nissan, Volkswagen, Seat, Skoda, New Fords …. not a problem, give us a call and speak directly to an experienced locksmith.